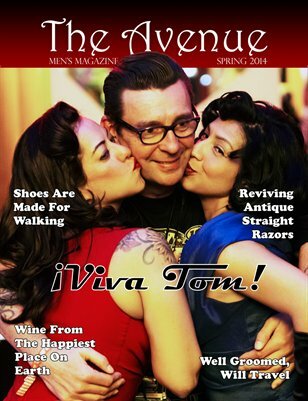 The Avenue Men's Magazine Spring 2014 has arrived with founder/creator of Viva Las Vegas Tom Ingram on the cover. Learn about his journey to become the biggest promoter of rockabilly culture in the world! We also write about food, grooming, wine, straight razors, knives and everything relevant for men. We continue our mission to be a gritty, classy, independent men's magazine with attitude.